A lost culture of frozen people is discovered underwater in the Pacific Ocean. They were frozen in time on the edge of a catastrophic environmental disaster, a crisis that scientists and archaeologists of the future grapple to fully understand. The history of these people had been erased. Who were they, these people of Ardus Unda? What happened to them? Can they be restored to life? Can we learn from their past to inform the present and the future? This was the fictional context faced by drama students and teachers from schools across the world who worked together to co-construct a story as part of an innovative creative project exploring the possibilities of using digital technologies in drama education. The project connected students and teachers in a shared drama learning experience, entitled The Water Reckoning Project. It used a combination of live drama workshops and digital postings from sites in Sydney, Noosa, Athens, Seattle and Singapore. Dr Christine Hatton, a lecturer in the School of Education, led the Sydney project and research study with co-researchers from the University of Western Sydney (UWS) and Macquarie University. The study focused on drama, technology and sustainability education. The Water Reckoning Project drew on the work of pioneering drama practitioner Dorothy Heathcote and reinterpreted her strategy of 'Rolling Role' for the 21st century classroom context. This strategy, where students work across subject areas on a shared dramatic narrative, lent itself well to adaptations with technologies and digital platforms. The project was part of an international push to re-consider the innovative practice and strategies of Heathcote. Each group of students interpreted the Ardus Unda story through drama in relation to their own locations and imaginations, and in doing so, made important local connections between the real and the fictional contexts. It also enabled students to interact with other sites and the creative content made by students from across the world. "This project contributes to the field of drama education in terms of the possibilities and limitations it highlights when working interactively with technologies across different sites and time zones," said Hatton. "It has led us as researchers to consider the nature of a mediated creative learning experience and how digital technologies alter and expand the lived experience of drama learning processes. This kind of work allows new collaborations and audiences for classroom drama work, which is exciting for teachers, students and researchers alike." Teaching drama is unlike teaching any other school subject; it is experiential learning involving each of the senses, body language and emotion and is often a way of engaging students who have been otherwise alienated by the rest of the curriculum. Hatton has a longstanding interest in the nature of teaching and learning in drama and the arts – drawn from her PhD study on transformative learning and teaching in drama. She is interested in the way research can capture and allow analysis of the nuances of what drama teachers do, what works and what makes a difference to students' lives in complex times and contexts. "Teaching drama is unlike teaching any other school subject; it is experiential learning involving each of the senses, body language and emotion and is often a way of engaging students who have been otherwise alienated by the rest of the curriculum," explains Hatton. "Drama gives students a whole range of skills and experiences. In a performing art like drama you have to be really present, it relies on complex forms of collaboration and aesthetic awareness and students have to grapple with multiple things all at once in the moment of doing it." Hatton is also leading a major three-year Arts NSW/ Department of Education and Communities research study, Evaluating the impacts of the Fresh AIR Initiative 2014 - 2016, conducted with her co-investigator Associate Professor Mary Mooney from UWS. This studyanalyses the nature and impact factors of sustained artists in residence projects in six schools across Sydney. Dr Christine Hatton is a lecturer in the School of Education with a background in drama and theatre. Christine’s scholarly interests and contributions are located in the fields of drama, arts education and gender in education. Christine completed her Bachelor of Arts degree in Theatre Studies from the University of NSW, followed by a Graduate Diploma in Education (Secondary Teaching) from the Sydney College of Advanced Education. She spent a number of years working as a secondary drama teacher and head of drama in schools in Sydney and London, predominantly in culturally diverse schools. She obtained her Master of Arts degree in Theatre Studies from the University of NSW and received her PhD in Drama Education at the University of Sydney in 2005. Her research study entitled “Backyards and Borderlands: Transforming Girls Learning Through Drama” featured innovative arts-based research that interrogated drama teaching and learning processes informed by feminist politics. The study explored girl-centred learning processes using playbuilding, storying and performance to enhance girls gender esteem and sense of well being. Her PhD study was a finalist in American Alliance of Theatre and Education’s international Distinguished Dissertation Award. Christine has worked at a number of universities teaching pre-service teachers in drama education and theatre. She has worked at the University of NSW, the University of Edinburgh, the National Institute of Education (NTU, Singapore) and more recently at James Cook University. As a passionate advocate for drama and arts education she has served in various leadership roles locally and nationally. She is a past president of Drama NSW, the professional association for drama educators and served as Director of Research on the Drama Australia Executive. She is one of the writers of the Drama Australia Equity and Diversity Guidelines. 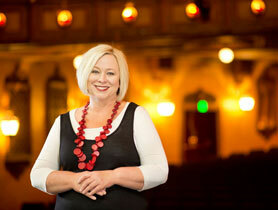 She has served on the NSW HSC Drama Examination Committee and has been a HSC performance examiner for many years. 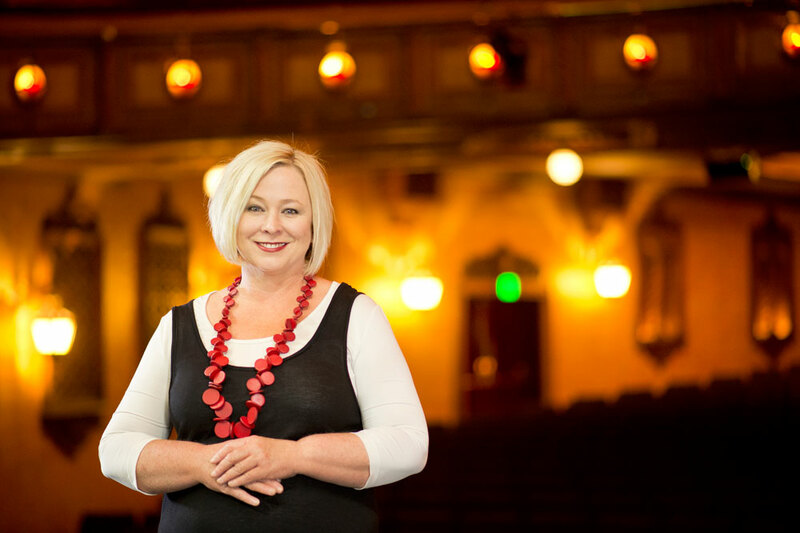 From 2007 – 2011 Christine was the state Drama Curriculum Adviser K-12 with the NSW Department of Education and Training, providing leadership, curriculum support, resources and professional learning for both primary and secondary teachers across NSW. She regularly leads workshops for teachers on playbuilding pedagogy based on her book Young at Art: Classroom Playbuilding in Practice, co-authored with Dr Sarah Lovesy. Christine joined the University of Newcastle in 2012 and is based at the Central Coast Campus. She has worked as a dramaturg and educational consultant on the Casula Powerhouse Arts Centre touring production Tough Beauty, an innovative new play for teen audiences funded by the Australia Council for the Arts that explored the issue of girl violence. 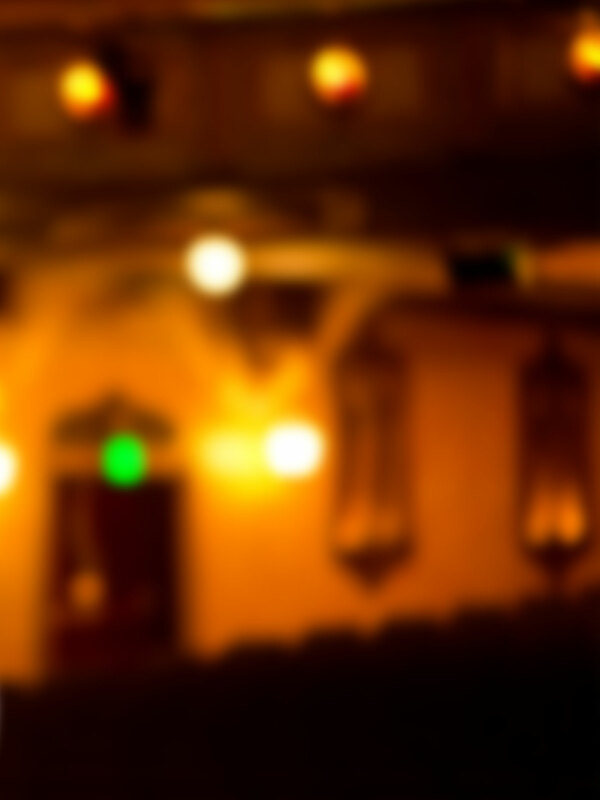 She continues to research in the area of drama and girls’ education, as well as teacher artistry and playbuilding. Christine was a contributor to the international collaborative research project The Water Reckoning Project ( www.water-reckoning.net) . Based on Dorothy Heathcote’s ‘rolling role’ strategy, this study researched the effectiveness of a pedagogy framework for sustainability education utilizing drama and environmental strategies and digital technology. She is a Chief Investigator, along with Dr Mary Mooney (UWS), in a major three year research study of the Fresh Air Initiative: Artists in Schools Program funded by Arts NSW. She has recently been awarded the inaugural UoN Faculty of Education and the Arts Early Career Research Fellowship for 2014. Christine’s key research expertise lies in the areas of drama, arts and creative learning and teaching, performative and narrative inquiry methods, applied theatre, girls education and gender issues, teachers and student storying, teacher identity and reflective practice. Christine has extensive experience as a teacher educator and leader across a range of contexts. Since joining the staff of the University of Newcastle she has taught undergraduate and postgraduate courses, in both secondary and primary programs. Christine has a background in arts education leadership, as a Head Teacher, past President of Drama NSW and as a state Drama Curriculum Adviser K-12.She has convened courses and programs in various universities. Since joining the School of Education she has served as the Bachelor of Teaching/Bachelor of Arts (Secondary) Program Convenor and has co-ordinated numerous courses on both primary and secondary education programs. 2013 -2014 The Water Reckoning – Digital Tools for Dramatic Engagement (CQU, UoN, UWS, Macquarie University) 2014 – 2016 The Fresh Air Initiative: Strand 2 Research Study (UoN & UWS) funded by Arts NSW and the NSW DEC.
© 2009 Christine Hatton and Sarah Lovesy. All rights reserved. Young at Art is a practical guide to playbuilding for teachers working with students at an upper primary and secondary level. Focusing on an area often neglected in traditional drama text books, the book covers the process of devising drama, and the teacher&apos;s role in facilitating students to collectively become playwrights, actors, designers, directors and critics of their ensemble work. The playbuilding process is covered in a structured manner, which includes: Mapping the Territory: identifying critical issues relating to teaching and learning in playbuilding, and laying the basic foundations of understandings and practice. Levels at Work: offering three approaches to playbuilding, catering for a range of learning experiences. Playbuilding for All: explores theatre practitioners&apos; techniques, working with students&apos; personal stories and narratives and playbuilding with a contemporary edge. An essential guide for all drama teachers Young at Art covers practical teaching issues and strategies for working with groups of students to help them perform their playbuilt stories to an audience, as well as techniques for student assessment and evaluation, providing a wealth of exemplary starting points and approaches. The book offers detailed guidance on working with students to help facilitate the collaborative creative and reflective processes, offering practical ideas and structures which can be easily implemented in the classroom.